Freedom Service Dogs is an amazing organization! Even though we just missed the latest graduates of puppies, we got to hear all about them and the amazing things they do for their new human partners, even laundry!!! Dogs are meticulously trained to match the needs of their new human companion and go through months and months of learning everyday tasks that can be difficult for some people. Freedom Service Dogs helps Veterans and people with special needs get the help they need by providing them with incredible dogs. It costs around $70,000 to feed all of the dogs for 1 year, so every bit helps them out. My client, Brandon has an adorable dog named Lilo. He comes from a military family, so he wanted the donation from his home purchase to support Veterans and animals. This was such a fun donation and I really hope I can bring them more money in the future. 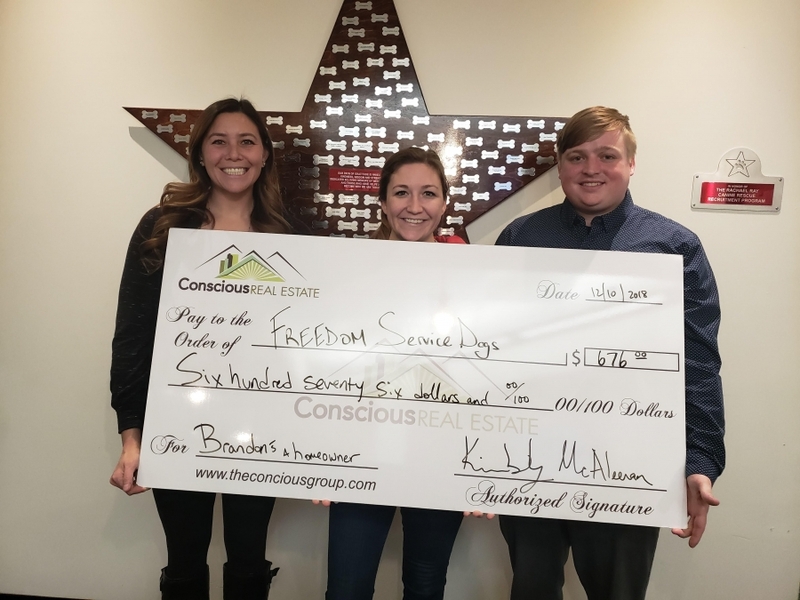 Congratulations Brandon and Lilo to being Colorado homeowners and thanks for picking me, Kimberly McAleenan with Conscious Real Estate and Freedom Service Dogs for your donation!